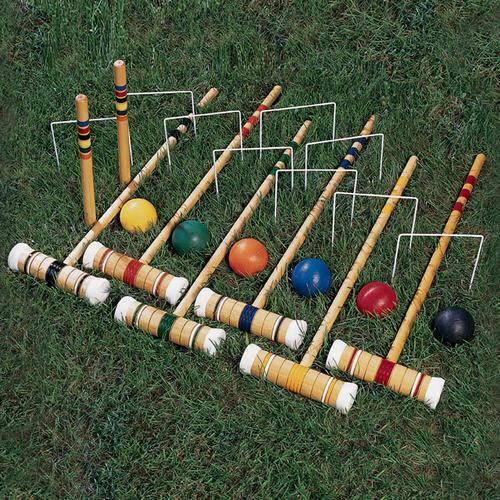 The Night of the Arts Beer Croquet Tournament is here! During the City of Helsinki's Night of the arts 24.8 four magnificent groups of Aalto students, Aalto Marketing Society (that's us), Athene (the guild of Information Networks), Piste (the students of Business Technology and Information Systems Management) and Prodeko (the guild of Industrial Engineering) will compete in a magical croquet tournament to find out who will win the house cup. The game of the night is pretty much the "quidditch of non-magical students", or the classic Academic Beer Croquet. The rules are simple and they will be taught at the event, so all you need to do is to gather a team, grab a bunch of beverages and show up - we'll provide you with balls & clubs! All Aalto Marketing Society's members can join! The tournament begins at 18:00 in the idyllic Sinebrychoff park in Helsinki. You can sign up to the tournament 7.8 at 12.00 in the Facebook event. Team size is 4-5 players and 12 teams can attend. 30 alcoholic beverages are needed for each team, and each team must bring their own drinks. Otherwise, the event is free! We hope to see some awesome team uniforms and the theme of the night is... Magic! The best dressed team will win a price!